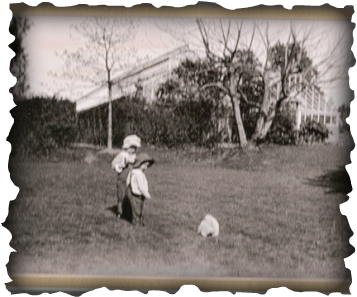 The Underwood Greenhouses, circa 1920 (pictured above). Plants are beginning to grow! In addition to the old favorites, we have a lineup of new and exciting plants for YOU! Sales start Mother's Day weekend - mark your calendars!! The Underwood Greenhouses were constructed in 1878 and in 1910 to the designs of Lord & Burnham, a prominent greenhouse design firm. The Underwood family members were quite ingenious. The greenhouses, built by Loring Underwood, one of the first Landscape Architects in the Boston area, and his brother Henry Oliver, housed a variety of fancy floral plants such as camellias and gardenias. The Underwood family is famous for "inventing" the canning process, as well as manufacturing "Underwood Deviled ham", which is still for sale in supermarkets. In the early 1900's this family's Belmont estate hosted many important dignitaries, including several Presidents of the United States, as well as a pet bear from Maine. In the early 1980's, part of the estate was divided for housing, but luckily the greenhouse fell into the hands of a retired local florist, Mr. Frank P. Curro. For many years he maintained the greenhouses and grew a variety of annuals and perennials. The beginning of the 21st century brought a new era to the greenhouse as this florist's daughter became more and more interested in plant culture. Along with her husband, they have undertaken a never-ending renovation of the buildings and continue the propagation of annuals, perennials, herbs and heirloom tomato plants. Underwood Greenhouses is one of the few places in the Boston area where you can be sure that the plants you are buying are truly "locally grown." Proceeds from plant sales assist in the renovation and maintenance of this historic structure, as there are very few of these buildings left in the country. In May, 2012, the Underwood Greenhouses received a Belmont Historical Society Preservation Award. The award recognized the preservation efforts put forth to maintain and restore the Greenhouses.